Let’s be Responsible Towards Dogs and our Community! 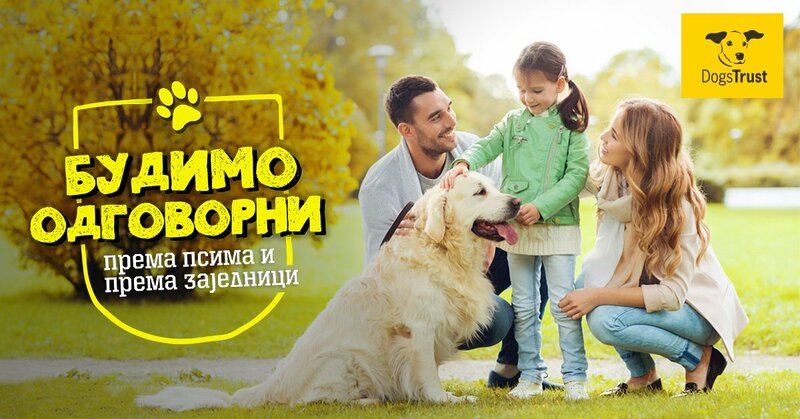 Join us at our first public event for the promotion of responsible dog ownership, Dogs Trust Education and Neutering Programmes and free training at Dog School, available for all dog owners in East Sarajevo. We invite all dog owners, parents and children, teachers and dog lovers to join us on Thursday, October 11th, from 4:00 – 6:00 P.M. at the Primary School Sveti Sava in the Municipality Istocno Novo Sarajevo. Dog owners are encouraged to bring their dogs along if they are well behaved and the presence of people and other dogs will not stress them out. Our Education Officers will hold a workshop for children, where special guest, clown Sasavko, will be making dog-shaped balloons and face painting for everyone! All dog owners will be able to register for a chance to win one of our 30 special gift bags, while all guests will receive small gifts.